What makes our Slim Fit Crew Neck Sweat Proof Undershirt so unique is that it is made of 95% Micro Modal Fabric. This is a specially designed material that has the ability to absorb 50% more sweat than cotton while feeling light and comfortable. Our undershirt is also made of 5% Spandex and that gives it excellent flexibility and stretch, making it possible for it to suit everyone. COD and online Payment Available. Delivered in 2-7 days. Easy 30 days Returns. 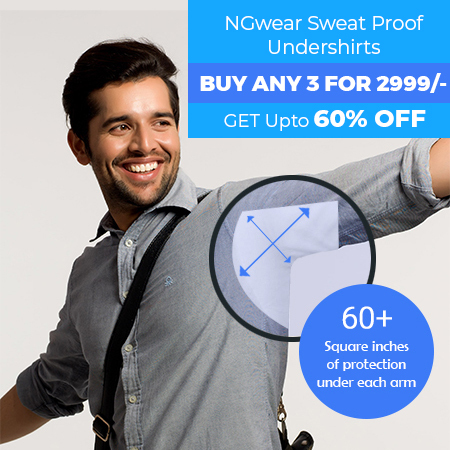 At NGwear, we have designed our undershirts to deal with the problem of unattractive sweat stains. It will give you the confidence to feel good, wearing the clothes you want without worrying about excessive sweat and the problems it can cause. Our Crew Neck shirt incorporates advanced technology and that is what helps to fight sweat and staining. To create a sweat proof undershirt that works effectively we have chosen the highest quality materials. Micro Modal Fabric helps to enhance absorption, removing sweat from the body and preventing it from reaching your outer clothing. However, we do not just focus on functionality because we also understand style and comfort. 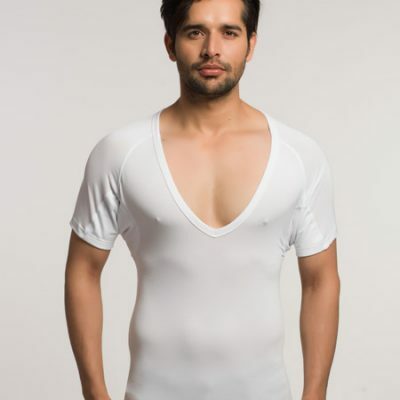 Our undershirts also have 5% Spandex and that ensures that it fits well, regardless of your body shape. 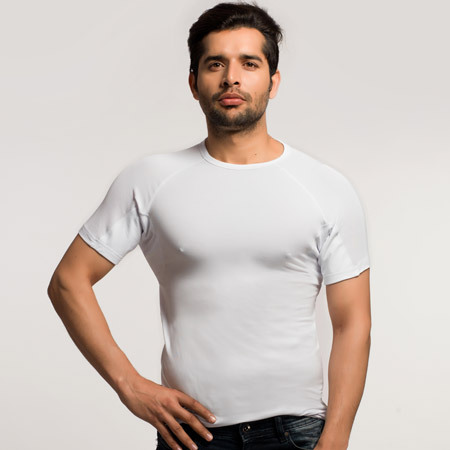 Our undershirts not only contain the highest quality materials but they also contain silver. This helps to control your body temperature whether you are hot or cold. It absorbs heat when the temperature are high and it keeps you warm when the temperature is cold. As our undershirts control the temperature effectively, it means that you will feel fresh and comfortable regardless of the weather. 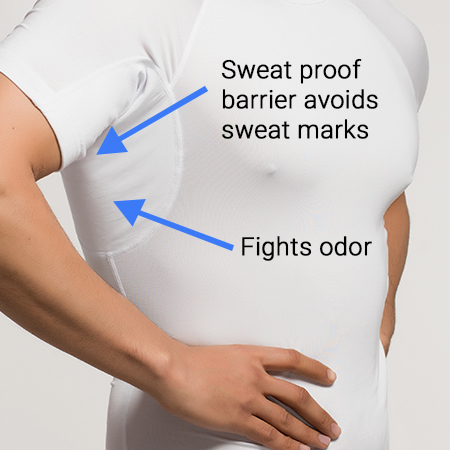 Excessive sweating can be caused by medical conditions, an active lifestyle and warm temperatures but our undershirts deal with the problem instantly. The Micro Modal fabric offers 50% more absorption than cotton and that helps to deal reduce sweat and stains. However, we have incorporated advanced technology into our undershirts. The fibers contain silver and that helps to reduce odors, which are caused by the sweat interacting with bacteria. The silver eliminates the problem and removes that noticeable and unattractive odor that follows you around. This leaves you feeling comfortable and confident in your appearance. Our sweat proof shirts are designed to not only look good but also feel good. When you wear our undershirt underneath your regular clothing, you will not feel restricted. The Micro Modal fabric combined with spandex delivers a fit that is flexible and versatile. The material is sleek and smooth and feels soft against the skin, removing the risk of any irritation. Regardless of your body shape, you can wear this with confidence. Our crew neck sweat proof shirt is designed to look good underneath your clothing. We appreciate the importance of looking good and wearing an undershirt should not impact your appearance. It will fit seamlessly with your look and will not be noticeable underneath your clothing. Whether you are in the office, out for lunch or taking a casual walk, our undershirt will work perfectly with your style. 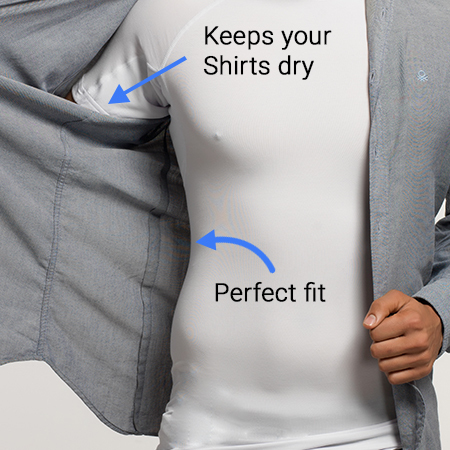 Best in the business If you have hyperhidrosis, go for this amazing undershirt. It's just amazing. Breathe This shirt allows my body to stay dry and my skin is still able to breathe in this undershirt. Excellent product This sweat-proof shirt has changed my life, I have finally said goodbye to sweat marks. Amazing product! 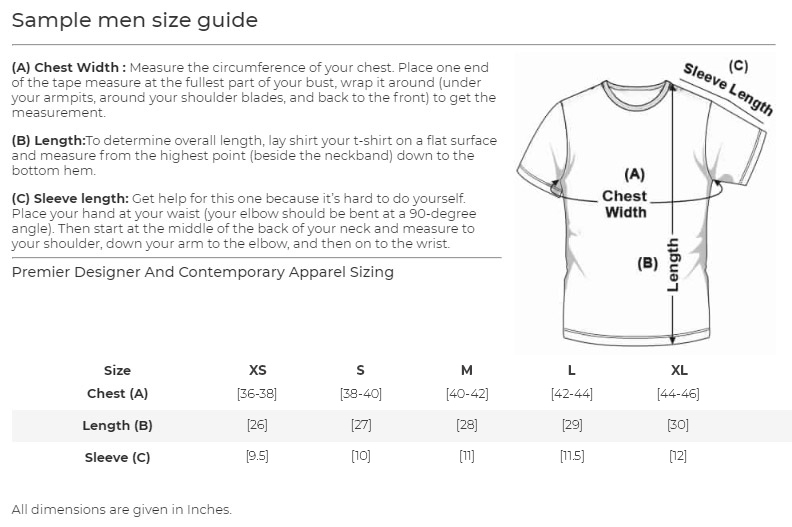 The undershirt is amazing, its soft ,it fits nice and does the job it should do perfectly. Life saver Great product, great service. Going to get few more. Just for your information guys, this can't be worn as a t shirt, it is an undershirt.